In this last installment, I talk about other treasures to enrich your life. Bonus Tip #11: Look for other stuff too. Once you’ve made two rounds in the tool-rich areas (garage, basement, outside shed), take a moment to just look around. Seek out items congruent with your hobbies and interests. Are you a gamer? Collector of tobacco tins? Want to spruce up your bar area with vintage liquor/beer signs, mugs and glasses? Estate sales are an economical way to do just that. For instance, I enjoy a scotch and soda from time to time, so I look for good vintage decanters and pick them up for a fraction of their cost even on eBay. 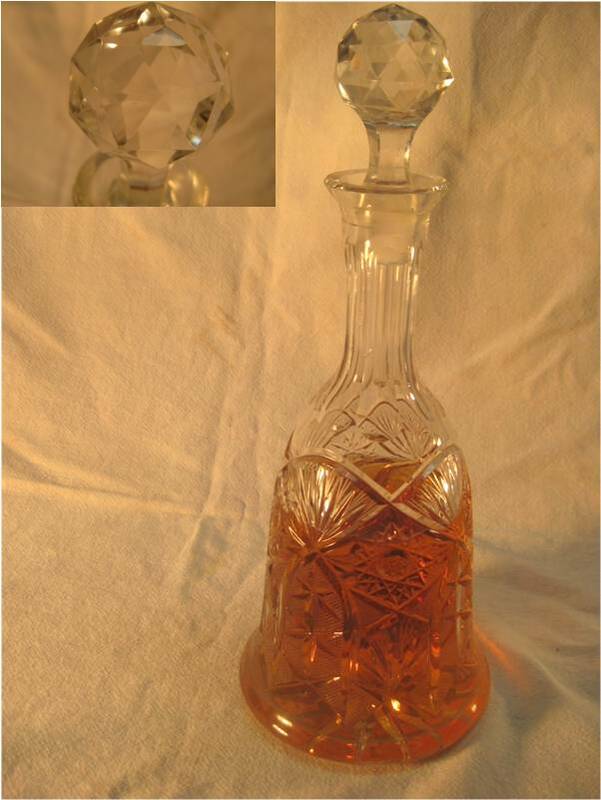 This fine crystal decanter would easily fetch $80 or more at an antique store, a sum that I would never have paid. But because it was sitting at an estate sale, and priced accordingly it now resides on my bar, forever filled with Johnny Walker Red. I’ve never gotten more pleasure out of a $5.00 purchase in my life. I love the quality of the glass and admire the sophistication of its design. Not to mention the feel of it in my hand as the golden elixir splashes into the tumbler below. And that’s it. Ten-plus-one simple tips to help you frugally tool-up your shop with quality vintage hand tools. After a while, you’ll reach the threshold where you can build most of your projects with the tools you already own. And you’ll have gotten there at lower prices plus a whole lot of adventure. © 2015, Brad Chittim, all rights reserved. By day, I'm a mild-mannered copywriter who harnesses frontal-lobe creativity (right brain) to help B2B marketers generate leads and sales. By night I pick up hand tools to create wooden masterpieces...and give my black lab Bella the "red dot" laser to chase after.